For many of us, the lure of the trophy/achievement is a powerful one. It grabs us by the man-plums and squeezes relentlessly. In some extreme cases, the trophy hunter is born; a dangerous breed of player enslaved to their gamerscore or… y’know, PlayStation’s little percentage counter thing. As for me, I’m a little more selective. I like to keep my Platinum-ing to my very favourite games, those that warrant my taking the extra mile. Right now, that’d be Soul Sacrifice Delta. This series (Delta and the original Soul Sacrifice) is something special. Something horrifying and crap-your-pants ghastly in places, but also special. I’d go so far as to call it PS Vita’s only unique IP worthy of the name. The brainchild of Mega Man’s Keiji Inafune, the games combine two disparate concepts: the Monster Hunter-style hunting game and Tim Burton’s taste for the quirky, creepy macabre. Essentially, you play as a sorcerer who hunts Archfiends (fellow mages transformed into hideous abominations by their various vices), doing battle with magic that costs your very body and soul to cast. As with Monster Hunter, there are a great variety of ways to customise and build your character. And as with Monster Hunter, I found it all buttcheek-numbingly addictive. I’ve always seen the genre as the kind that you’ll immediately dismiss –and never touch again– if it doesn’t click with you, but will spend hundreds of hours with if it does. I’m firmly in the latter camp, which is what led me to pursue that Platinum trophy in the first place. Its sequel, Soul Sacrifice Delta, is a big game. Surely the biggest handheld release I’ve ever tackled. With the DLC pacts (stages) that have been steadily released since launch, it’s a bumper package for sure. And yet, it isn’t too daunting a task to attempt that Platinum. For me, the series offers the best kinds of trophies. It’s more of an ‘explore everything the game has to offer’ sort of affair, as opposed to titles that demand ridiculous score feats or something similar. Something like attaining top ranks in all three factions, for instance, caters well to players who switch builds and classes often. Which is perfect for me. 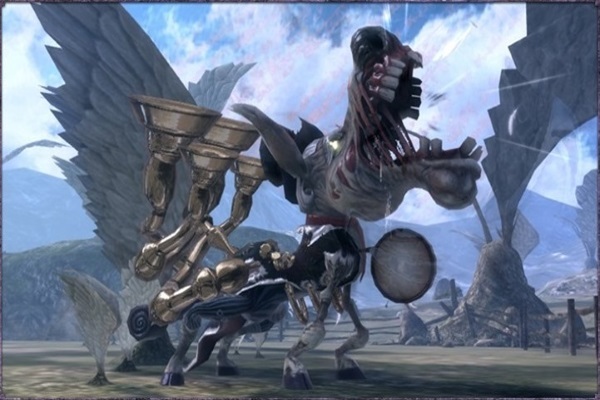 In short, I find Soul Sacrifice’s trophies to be that rare thing: a crop that are fun and natural to go for, and still decently challenging, without being frustrating.